Hyper-local news has been promulgated as a potential savior of traditional news media. The theory: Global news will be covered by a small number of large outfits, but smaller papers and sites can thrive by covering extremely local news. E.g., what’s happening in your county, city, neighborhood, or block. I’m glossing over a few facets of hyper-local news, such as how the news is collected (anonymous users, registered users, volunteers, paid staff, news feeds, automatic, manual), the level of editorial review and control (none, some, a lot), relations with existing traditional media (none, multiple feeds, being supported by a related paper), business model (advertising (of which there are multiple variants), subscription, premium services), and profit vs. non-profit. I haven’t read any analysis that adequately address three strategic challenges for hyper-local news business models — challenges that are fundamental, and interrelated. Regardless of the means of collection or editorial control, these will be cardinal aspects that get in the way of creating a business. …the less news to report on, and therefore less reason to read the paper or site. Say the world contains N0 news units. America, being smaller than the world (duh), contains N1 news units, where N1 < N0. Washington State contains N2 news units, where N2 < N1. And so on. At the extreme, there’s (hopefully) nothing newsworthy occurring in your home, and probably nothing newsworthy happening on your block. …the fewer the readers. This results in lower page views and unique visits. The readership may be a purer target for some advertisers (e.g., a West Seattle restaurant’s advertising spend may find better results from a hyper-local West Seattle) but not for others (e.g., national advertisers). 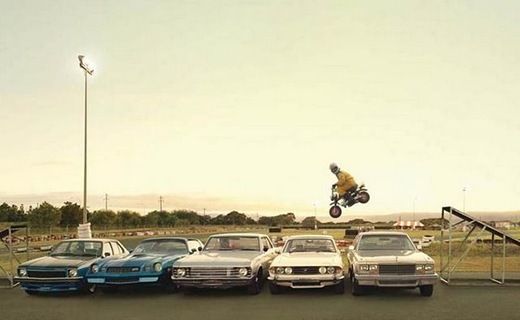 …the fewer the available advertising dollars. There are fewer potential advertisers, fewer justifications for an ad spend, and less potential advertising revenue. Local advertisers, like the aforementioned West Seattle restaurant, may find the tighter readership focus appealing. OTOH, their advertising spend is less, and small stores need more (often, much more) handholding when it comes to advertising. 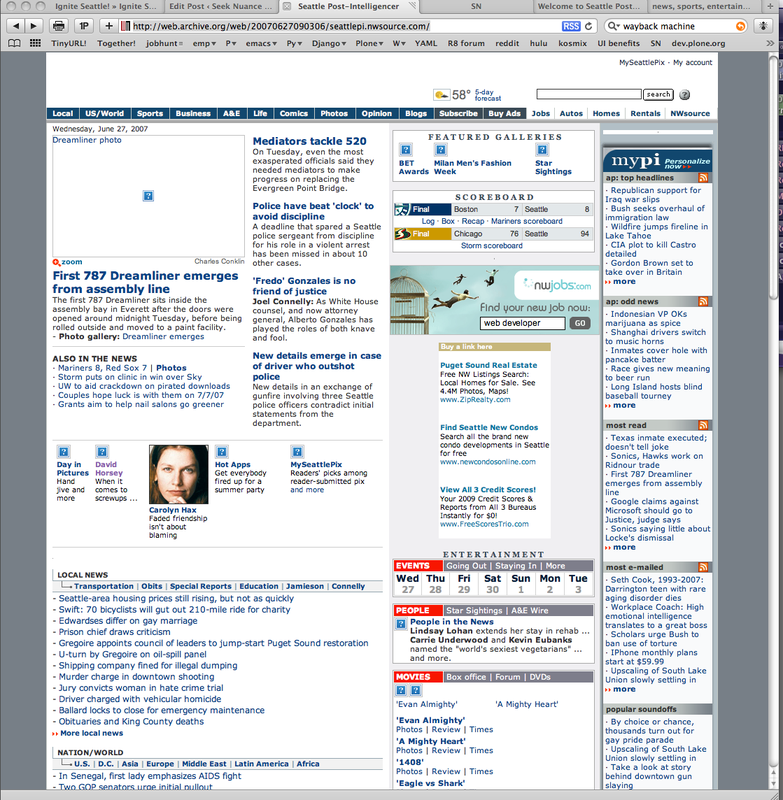 When you mentally insert the June 2007’s missing photos and column headers, you’ll see that the layout’s hardly changed in two years. It’s been lots of small text in multiple columns for as long as I’ve read it. Ick. The local news is a mix of their reporters, and a couple of other local sources. The other news categories (US, world, A&E, etc.) are feeds and articles from AP and other news sources. The Seattle Post-Intelligencer newspaper was shut down, and a subset of their employees were offered jobs on the remaining SeattlePI.com site. They started without an existing classified advertising business, and no existing sales operation. There are three theories in the local conventional wisdom about this. SeattlePI.com is an honest business attempt that Hearst wants to succeed. Hearst tubed the Seattle P-I paper to get out of the Seattle Times – Post-Intelligencer JOA. Hearst expects The Times to eventually crumble, after which Hearst can reinstate a Seattle paper without the JOA’s burden. So, SeattlePI.com is just a holding action. SeattlePI.com is a face-saving gesture, or a gamble. The corporate parent doesn’t really care if it survives. The latest traffic stats aren’t encouraging. The last print edition was published March 17. In an Editor & Publisher article published on April 9, a Hearst Company spokesman claimed that SeattlePI.com was seeing 1% more page views in the three weeks after the last paper edition was published, than the same three-week period in 2008. 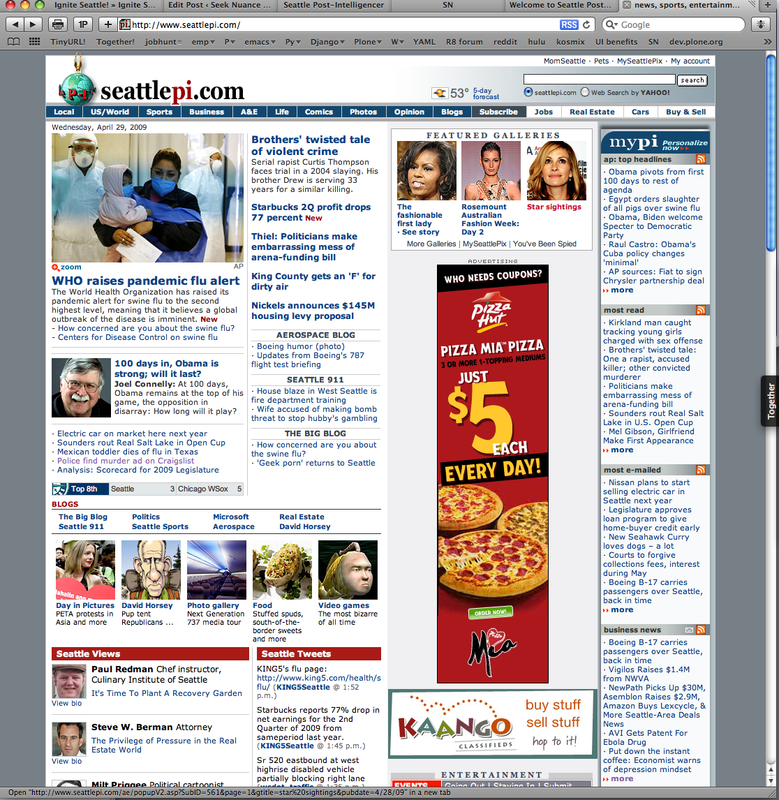 But about two weeks later, Editor & Publisher, reporting on the March 2009 Nielsen Online numbers, stated that SeattlePI.com’s unique visitors dropped 23% compared to March 2008, from 1.8 MM to 1.4MM. And it fell to No. 32 in Nielsen’s list. My understanding of their technical infrastructure is Nth-hand… I’ve heard they’re a .NET shop, with Microsoft technology used throughout their technology stack. Their CMS is home-brewed, and tuned for their website to within an inch of its life. If this is accurate, they’re in a tough position, using expensive proprietary solutions in the underlying technology (Microsoft) and the in-house-developed CMS. It’ll be difficult to integrate or leverage emergent technologies, and impossible to benefit from others’ development work. Synergy, integration — nada. Boy, I’d love to take a crack at using Plone here! Keywords: Grappling with the Internet tsunami, open-source stack migration, caching, traffic spikes, content migration, … Good golly, it’s a geek’s dream. Sign me up. More to the point, I’ve tried signing myself up. I haven’t seen any job openings, but I sent my resume to someone there, with no response. They may be fully staffed for their goals, or up to their neck in alligators, or maybe my resume didn’t impress. Dog found in yard. Story at 11. It has a couple of branding partnerships with local media firms, and a couple local recognizable names (local favorite reporters/writers) in their masthead. That’s a nice start, and its launch caused some minor excitement for a week or so. But now reality is settling in, and the question is, What’s the readership draw for this site? Seattle PostGlobe may have positioned itself as a local news underdog, but that appears to be true in the literal sense. Its traffic has no comparison to SeattlePI.com, or any other site for that matter. Alexa’s imperfect data shows Seattle PostGlobe having only a trickle of traffic. In the graph to the left, the blue line is nwsource.com, which, for reasons too involved to go into here, is the parent domain for both the Seattle P-I.com and The Seattle Times, another Seattle paper. Alexa’s data is that each on-line site takes half the domain’s traffic, so divide that blue line by 2 to get the SeattlePI.com’s page views. The orange, barely visible smudge at the graph’s zero Y-axis value? 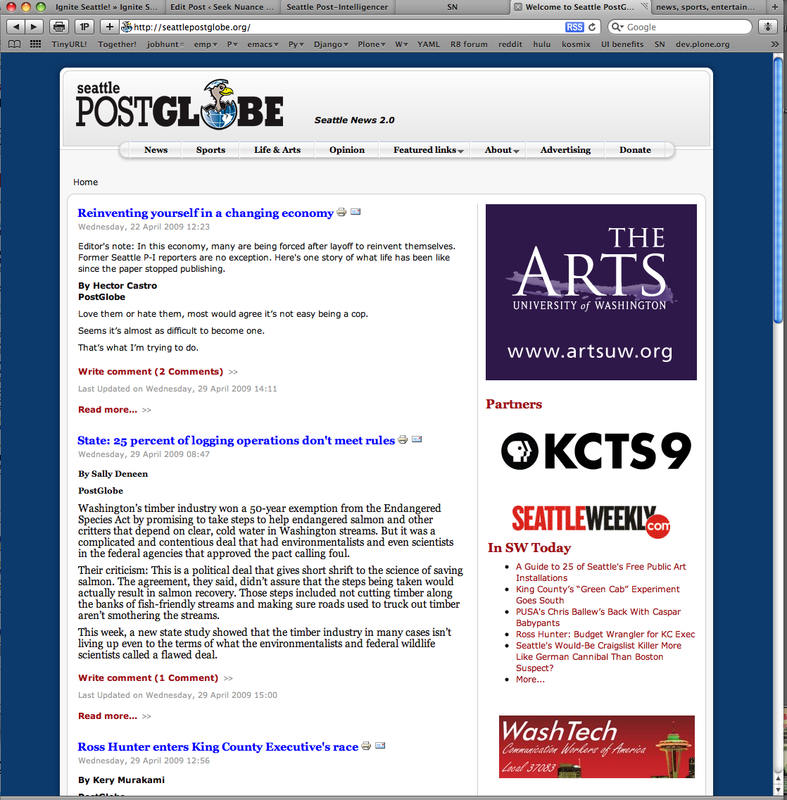 That’s the Seattle PostGlobe’s page views. I visited the site multiple times after it launched. It was out of residual loyalty to the Seattle Post-Intelligencer paper, a desire for some background color on Seattle’s newspaper brouhaha, and wanting to root for the underdog. But those motivations will maintain my interest only so far, and they’re not maintaining it any more. 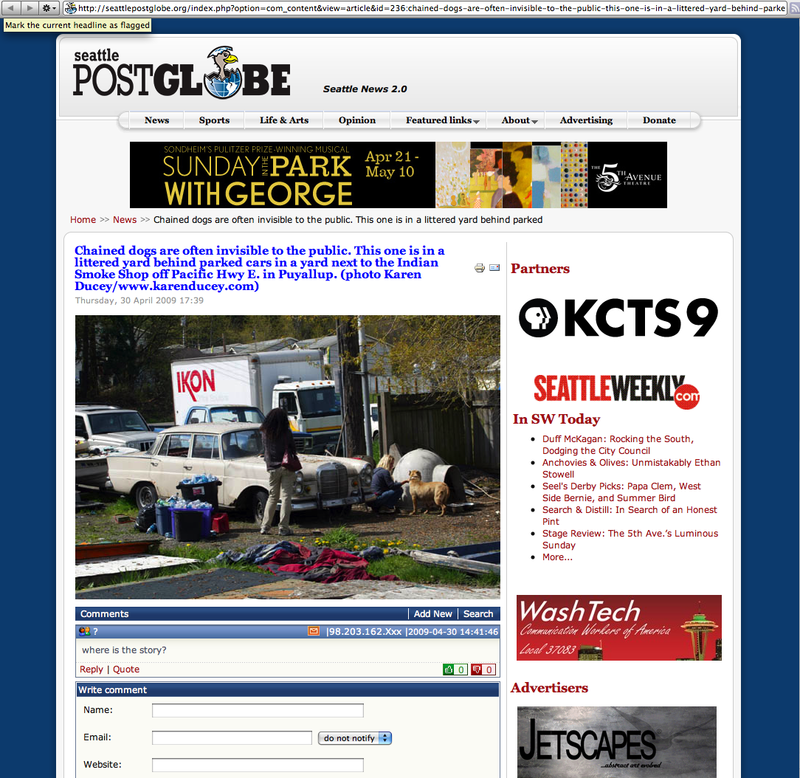 A site without compelling content is not going to hold my interest, and the Seattle Post Globe isn’t giving me a daily or even weekly reason to visit their site. My information in this regard is anecdotal, but I do not detect a local groundswell of interest in the PostGlobe. Still… Think of the challenges! Launching a new media site on a wing and a prayer. The brand positioning, site design, and page layouts can be anything. If the existing site is their final answer, then I’d take a pass. But the coolness of building something out of nothing is extremely attractive. OTOH, 100% volunteer works for only so long. I eventually need a salary.